What Is A Neonatal Nurse (NICU)? An RN with a specialization in neonatal nursing is trained to work with new born babies and their mothers. This is because there are a number of things that can, potentially, go wrong in the first few hours and days of a newborn’s life. In addition some babies are born prematurely or with other problems and consequently need the care of a skilled nursing professional in order to enhance their chances of survival. At the first level of neonatal nursing you are simply required to care for a monitor the health of babies born with no problems. This is the least intensive level of care that you will be involved in in neonatal nursing. The second level involves nursing babies who develop a condition or illness in the hospital after birth. The third level involves working with premature babies or babies born with serious conditions or defects. As this is the most intensive level of care you will need to provide, and as patients are often lost at this level, a strong personality is needed in order to be successful at this level of neonatal nursing. Generally speaking, these nurses are only employable in those healthcare settings where newborns are taken care of. This includes the maternity ward of a hospital or specific mother-baby care units or maternity clinics across the country. Because babies are a popular demographic with which to work, you may find that there is a fair amount of competition when it comes to employment in this domain. However it must be noted that in order to become a neonatal nurse you must have general nursing training as well, which means that you will be adequately equipped to work in many different health care settings. Note: often tragedies that occur in neonatal nursing appear worse than in an adult health care setting. Consequently an ability to cope with tragedies such as these is necessary for employment. Have graduated from an RN training program and hold an RN license. After that the requirements vary from employer to employer. Some require you to have a year or so of experience in adult care, other hire new RNs straight out of training, while still other neonatal units prefer you to have specific experience in neonatal nursing before they will hire you. Apart from the basics, i.e. that you must be a qualified nurse, most of the other requirements from thereon out depend on the hospital or health care facility for which you would like to work. The higher your degree and the more experience you have, the better, as this will make you stand out during the job application process for the facility. Excellent people skills as you will work with people every day from many different areas of life, such as patients, the families of the patients, and your colleagues and other medical professionals within the healthcare setting. Empathy with patients and their families. Educational requirements for becoming a neonatal nurse start by completing high school and receiving a high school diploma or GED equivalent. Taking subjects such as biology, chemistry and math in high school will be helpful. After that you must study to be an RN by completing an associate’s or bachelor’s degree program. These programs must be from an accredited school and must equip you to write the NCLEX-RN examination which will allow you to become licensed. After gaining some experience as a nurse in general or in neonatal nursing in particular, you can return to school in order to specialize in neonatal nursing by getting a post-graduate degree with a focus on the subject. This will also make you a more attractive option in the eyes of your potential employers when applying for jobs. Applying to your state board of nursing for licensure once you have competed your educational requirements. Once you have received confirmation that you are eligible to write the exam, you must apply to Pearson VUE, the company that administers the RN examination. Once you have received confirmation from Pearson VUE you can set an exam date. Submit all of the necessary documentation and pay the fee. After passing the exam your state board of nursing will license you. This license must be renewed periodically – the exact renewal periods depend on the rules and regulations practiced within your particular state so be sure that you know what they are. There are a number of training requirements as well as suggested training that you can do on your path to neonatal nursing. After enrolling in and finishing an accredited registered nursing program, take the NCLEX-RN and become licensed. The experience that will be helpful to you in this area of nursing is in Acute Care and ER or ICU and some states may even require you to have experience working as an RN in one of these settings before they will allow you to become certified as a neonatal nurse. 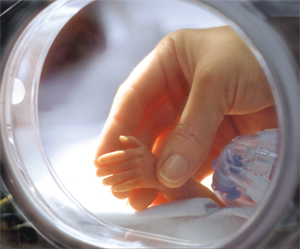 In addition you will need to work towards completing about 2 years of hands-on neonatal care. The exact amount of time you will be required to spend on gaining this experience will differ depending on the state in which you want to work. After that you can focus your required continuing education units on aspects of nursing related to neonatal care and pediatric care to boost your resume and improve your skills in the area. Enquire at your state board of nursing – they often have a list of accredited programs for you to choose from. Speak with current nurses and ask them about the accredited programs through which they completed their training (note that they would be unable to be licensed nurses if the program they attended was not accredited). Ask the school itself about its accreditation status and hope it is honest. The first step to this type of nursing, lies in earning your associate’s degree. This can be earned by attending an accredited school in your area. To select a school you need to consider other aspects in addition to accreditation. For example you need to be able to afford the school and it should be close enough to your home that you do not have to spend too much money on transport costs. In addition you should consider the size of the classes and the pass rate of the school’s students. Completing the degree will take hard work and effort and once you have completed the degree you will be able to move on to becoming licensed as an RN and receiving the necessary amount of work experience required to work as a neonatal nurse. The basic license required to be a nurse with a specialization in neonatal nursing is a registered nurse license. In addition to your RN license you will need to hold an advanced nurse practitioner license in order to be a neonatal nurse. 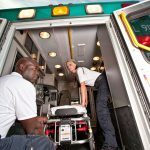 There are subtle differences in terms of the requirements for earning this license from state to state, but you will probably need to be a graduate from an accredited master’s program, to have a registered nurse license, to have national certification, and to complete continuing education coursework to renew your license. Because caring for babies can be such a delicate task, nurses with aspirations in this field need to show that they are well qualified for the job in every way, and this involves providing proof of a license in advanced nursing. 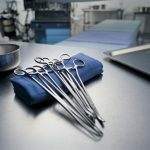 Clearly, then, the clinical work cannot be completed in an online environment as it requires that you engage in hands-on training in an actual health care setting. However you will be able to complete the theoretical portion of your studies through an online school, which will go quite a long way to helping you relieve the burden of studying to be a neonatal nurse. Like with brick and mortar schools, online schools must be accredited with the relevant bodies. There has been a marked increase in fertility treatments of late as they become more socially accepted, meaning that there are more babies for neonatal nurses to care for. There has also been a noticeable increase in the number of multiple births being had by families at present, again adding to the number of babies neonatal nurses can care for. The noticeable increase in the number of premature births that we have seen specifically means that there are more of these nurses needed at the third level of nursing. Being a neonatal nurse can, it must be noted, be a very taxing job. When the life of a baby rests in your hands, you will eventually start to feel the strain of the profession, whether you realize it or not. There are a number of reasons why it is important for you to take care of yourself as a nurse as well as of your patients, the primary one being that you will be unable to serve your patients to the best of your ability if you are not 100% yourself. Speak to someone, take time off, and generally just make time to relax and be yourself.